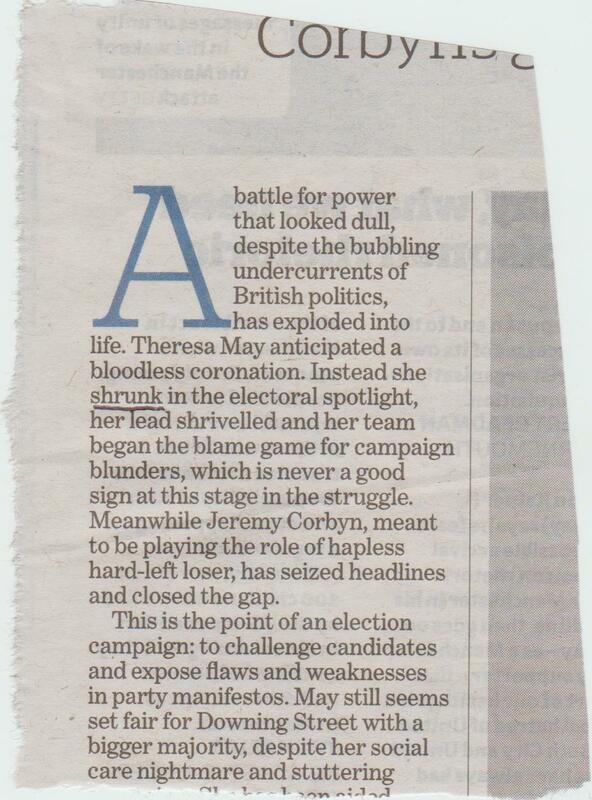 Let’s just ignore the contrived, irrelevant intro and matching heading. The other main problem with this story is the systematic mixing of singular and plural. If you are talking about ‘the vole’ as a species, you refer to ‘it’. If you are talking about ‘voles’ as a group, you refer to ‘they’ or ‘them’. In the penultimate paragraph, there is a sudden appearance of stream banks, when the story so far has been about a tarn. This needs to be explained, not just dropped in. This is a common error. The past tense of ‘shrink’ is ‘shrank’. ‘Shrunk’ is the passive voice or pluperfect tense, as in ‘the clothes were shrunk’ or ‘it had shrunk to nothing’. The film title ‘Honey, I Shrunk the Kids’ should be ‘Honey, I Shrank the Kids’. What were the odds?! I cannot understand the lack of curiosity that would allow this obvious question to go unanswered. Without the odds the story is almost meaningless. 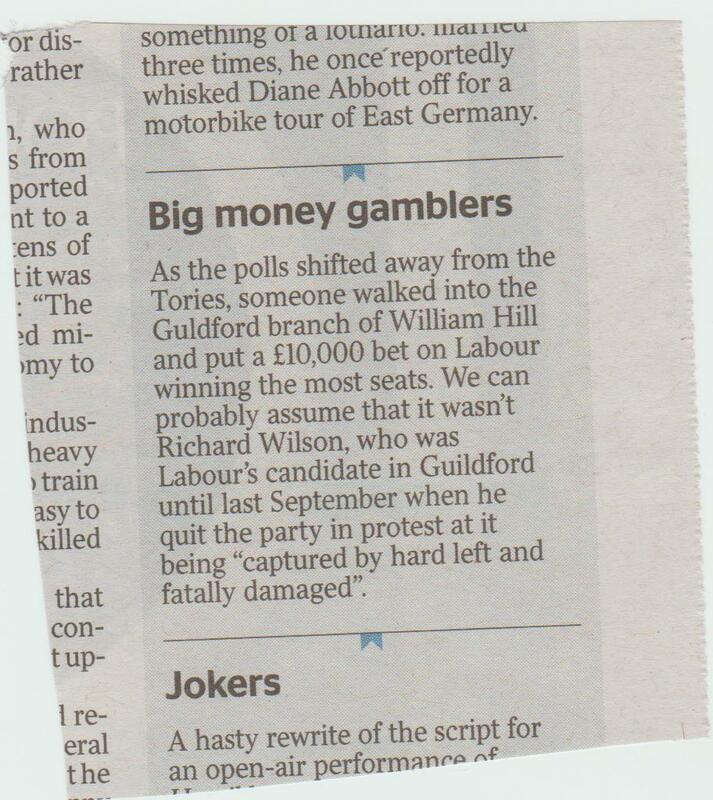 Incidentally I assume ‘Guldford’ is meant to be Guildford. Not good, is it? What a peculiar intro, and the whole thing has a stilted feel. 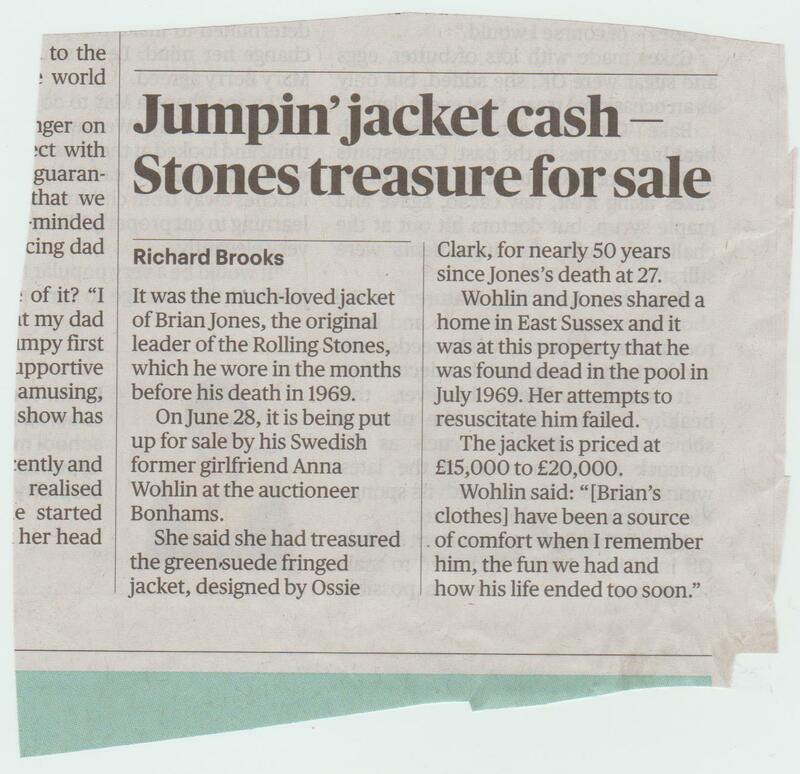 (Par 1) The jacket worn by Brian Jones, the original leader of the Rolling Stones, in the months before his death nearly 50 years ago is to be auctioned. (Par 2) The Ossie Clark design, in green suede with fringes, is expected to fetch up to £20,000. (Par 3) It is being sold by Anna Wohlin, who was Jones’s girlfriend at the time. She and the guitarist shared a home in East Sussex, and she found him drowned in the swimming pool in July 1969. He was 27. 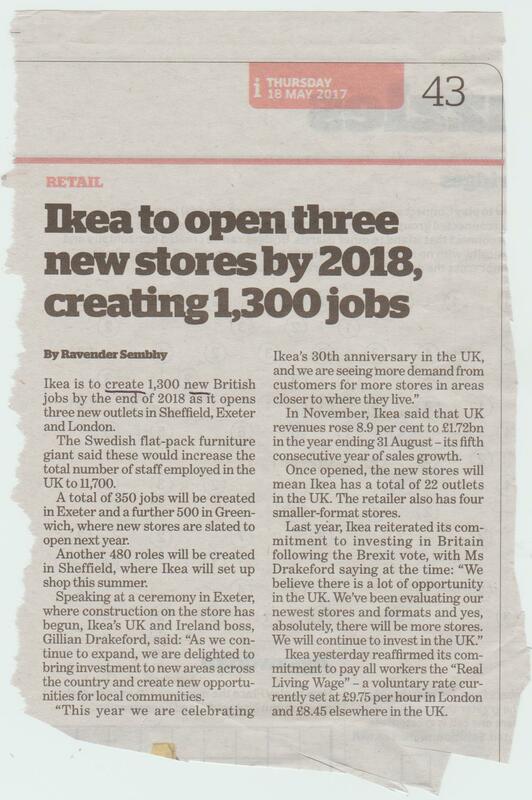 Par 1: It is better to say ‘nearly 50 years ago’ than 1969, as it saves the reader having to do mental arithmetic. It also avoids repeating 1969. Par 2: The first thing you want to know is how much it is worth. Par 3: Describing Anna Wohlin as Jones’s former girlfriend makes it sound as if their relationship had ended by the time of his death. It is worth pointing out that she found him in the pool. Par 4: This quote is fine but it really needs to explain why she is parting with the jacket now. If you start it as I have, you don’t need the ugly and intrusive square brackets. Par 5: The least interesting bits of the story are the name of the auction house and the date of the sale, so leave them to the last par. They certainly don’t need to be in the second par. This comes up a little bit shorter than the Sunday Times version, which leaves room for a line that Wohlin wrote a book which claimed that Jones was murdered. Some group nouns can be treated as singular or plural, for example ‘the jury was told’ or ‘the jury were told’, and often it comes down to a matter of which sounds better. I feel that the smaller the number, the more likely that treating the noun as plural is the better choice, because you visualise the group as a number of individuals. Some authorities differ, but I can’t bear ‘The couple was . . .’ Anyway, the one thing you can’t do is to mix singular and plural. Here we have ‘ . . . did not do enough to protect them’ and ‘The royal family was killed’. Obviously you could not have ‘ . 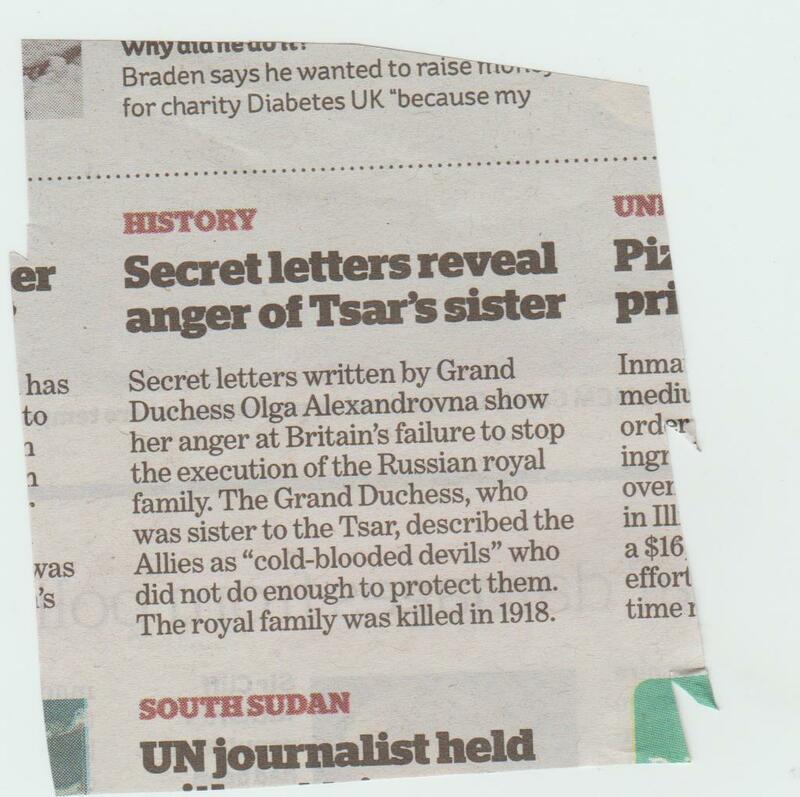 . . did not do enough to protect it’ so the last line should have been ‘The royal family were killed’. 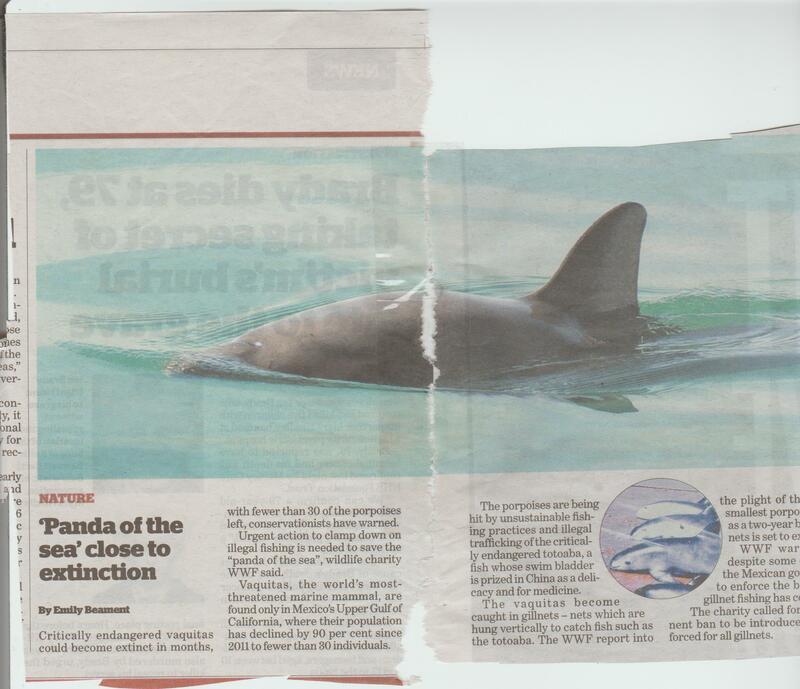 The picture shows the porpoise’s distinctive face pattern, and the intro is miles better, not giving the obscure name until it has established what kind of animal it is. 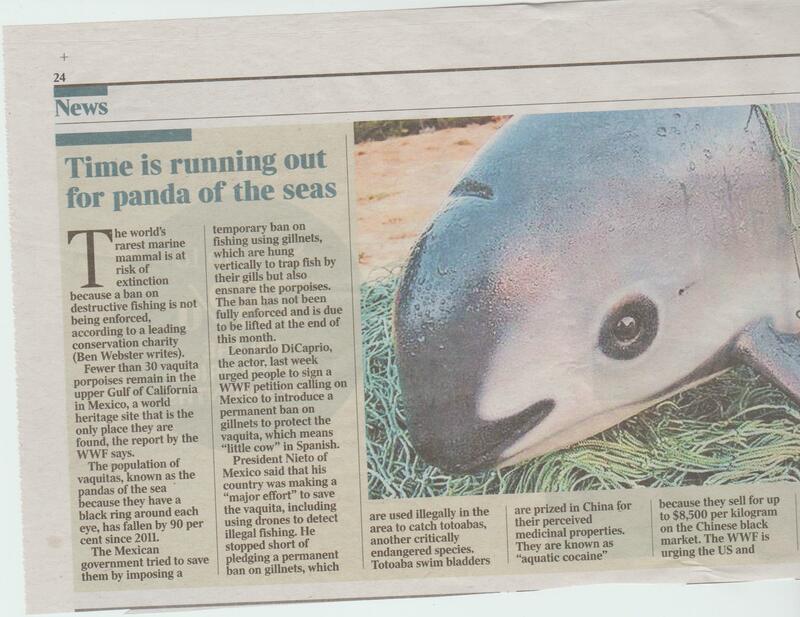 The Times, rightly, has also put in the intro that it is the rarest marine mammal, which the i does not mention until the third paragraph. ‘Create’ means to cause something new to exist. Therefore the word ‘new’ is redundant. This is a common error, but in this case it is made worse by repeating ‘new’ in the intro. In fact ‘new’ or ‘newest’ appears eight times – far too many. 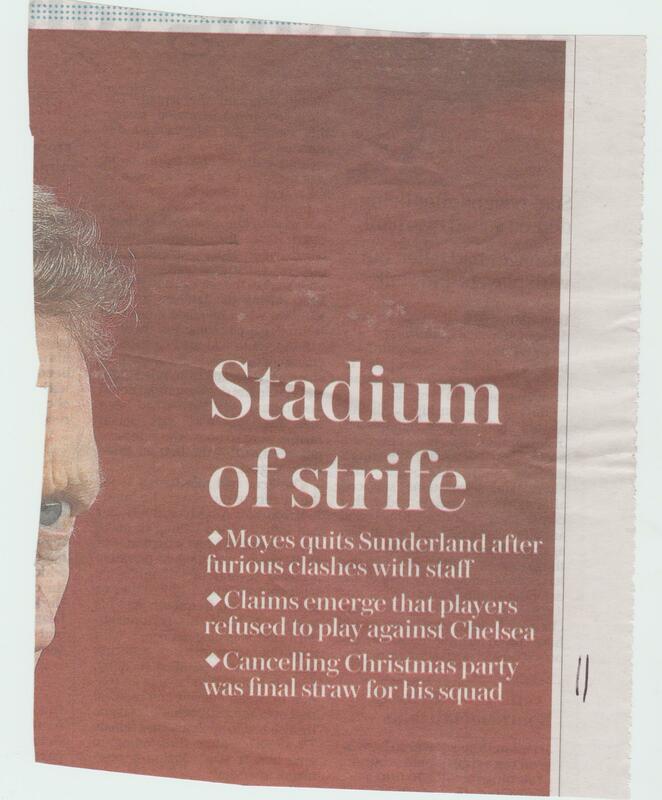 So was the Christmas party the beginning of Moyes’s problems or the last straw? I imagine the cover line was written by someone who had skimmed the story and got hold of the wrong end of the stick, not the sub actually handling it. 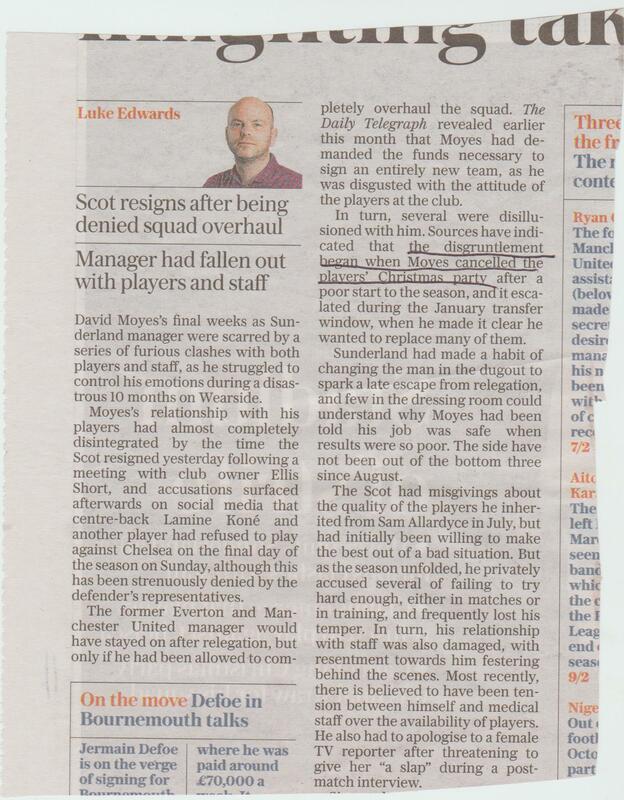 A sub must always check cross-references, headlines or captions written by someone else. Another convoluted and meaningless intro. I can’t even try to give a better version because the headline is not covered in the story. There is nothing in it about saving energy. This is a truly grisly effort.